I've met you. Or I've talked to you. Or I've seen your social media posts. You're always lamenting, "I wish I woulda..." and "I wish I could..."
I've been contemplating how to write this editorial for some time now. And, honestly, I still don't know if I'll get it 100% right. How do you convince a strong woman to do something for herself that she obviously hasn't yet considered worthy of her time, energy, and money (because we are all just overflowing with all three, right?!)? I'm not sure I have the answer. But I'd like a shot at it. So, if you will bear with me, let's just walk it out here, and then you can sleep on it and get back to me. 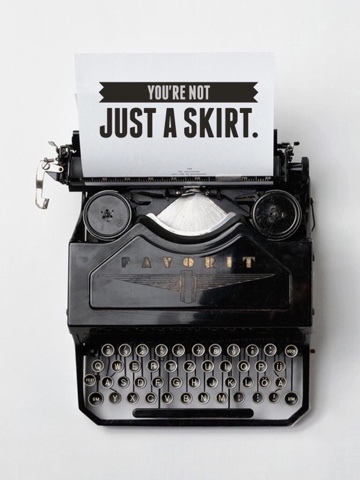 The best thing about being a "schoolgirl" is NOT the skirt (though every girl should have one for fun, IMHO). No, the best thing about being a schoolgirl is the message that you are sending to yourself and the world: I'M WORTH IT. You're worth every dollar spent, every hour of reading, every article researched, every commute, every late night and early morning, and every problem-solving struggle. You are your own investment. Educating yourself is the penultimate reminder that you are capable of moving and shaking the world, not just floating along for the ride; that you are brilliant, creative, and adaptable to any reality pressed into your face. Owning your education and learning allows you to move through this planet, confidently, unabashedly, unapologetically. It gives you control and confidence. The world doesn't happen to you. You happen to the world. Outside of being worthy of an education and reminding yourself of your own capability, there's something to be said for holding your own. For walking in and out of any group of people on the planet and being able to lend something to the the discussion or ask interesting questions. Having an education under your belt arms you with not only "knowledge" about the external world, but also a natural curiosity about it. Half of the battle of entrenching yourself in any group of people is having a grasp on the fact that most folks know something you don't know - and then having the cajones to ask the questions that will allow you to find out what that something is. This is precisely what school teaches us - those professors and instructors aren't standing up there because you already know everything they have to tell you. Foster your own curiosity about the world so you can hold your own. Lastly, you can totally legitimately buy a schoolgirl skirt. I'm joking but I'd really like you to consider taking some classes, going back part-time, or even just signing up for some licensing courses. I have yet to EVER hear a women say that she has regretted investing in her own education. And I highly doubt you've heard that either. So what are you waiting for?